Executives responsible for leading digital transformation face daunting challenges. This is especially true in complex business organizations with entrenched cultures and longstanding business models that resist transformation. Many will start their digital journey in marketing, driven by the need to establish stronger customer relationships tied to loyalty and advocacy metrics. Through marketing, CMOs build capability in the organization to be more personalized, personable and engaging through web, mobile, social and other digital and ecommerce channels. Yet digital transformation is often not fully realized until a company’s digital marketing strategy begins to inform and ultimately drive the larger business strategy. 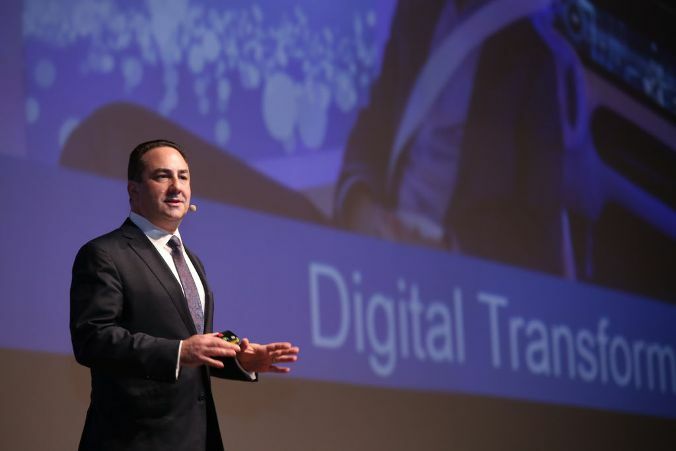 I recently sat down with Jonathan Becher, SAP’s Chief Digital Officer (CDO). Jonathan is a longtime advocate and practitioner of innovation, digital excellence and customer-driven marketing. He served as SAP’s Chief Marketing Officer (CMO) from 2011 to 2014, during which time he was recognized by Forbes as one of the world most influential CMOs. SAP was an early adopter of the CDO position. A look at Jonathan’s background shows a modern executive having held positions as CEO, CMO and now CDO. What follows are excerpts from our conversation related to his work with SAP. I’ll publish more detailed insights into my conversation with Jonathan as part of upcoming Gartner research on marketing and digital innovation for Gartner clients (subscription required). DB: Your tenure as SAP’s CMO occurred just as many companies were adjusting to the disruption of digital business. What was your focus during this time? JB: We recognized that the consumerization of IT (digital) would require SAP to appeal to a different class of buyer and business user – in a different way. We had three areas of focus to deliver on this need. First was to humanize the brand. Second was to digitize marketing. Third was to re-engineer the pipeline. We spent a lot of time building capacity in the marketing organization to be more responsive to consumers through social media, mobile and the development of online communities. We also refreshed our positioning to showcase SAP as a more relatable brand to consumers, beyond the technical value we provide. We also re-imagined our approach to lead generation by (among other things) digitizing our events and user conferences. Events are one of the largest marketing investments for B2B companies for driving customer interactions and generating leads. By moving to an always-on model that digitally streamed content from events, we were able to extend our reach from thousands of attendees to hundreds of thousands of viewers. We also gained richer insight into which audiences were interested in which topics; this in turn allowed us to sharpen our content strategy. The data from our collective digital marketing efforts also allowed us to change the measure of marketing’s impact on the pipeline, from only the number of leads generated (which is not necessarily an indicator of the quality of the funnel) to also include the velocity of leads moving through the funnel and the value of the deals closed as measures of success. DB: Why did the company decide to extend digital beyond marketing? JB: Executives at many B2B companies are measured by their success in delivering near-term results such as closing the quarter, delivering product releases and improving operational efficiency. There is often no incentive for people to disrupt what they are doing for the sake of digital. The decision to extend the capability of digital across the company, beyond marketing, was based on an outside-in view of how our customers and users were themselves, transforming through digital. This change required a significant shift in how we viewed our business. It changed how we identified ways to complement our traditional enterprise sales and solution delivery model. DB: So, is SAP now targeting a new class of consumer? JB: Our greater mission, with digital, is to allow anyone in the world to be able to buy and to use an offering from SAP with minimal-to-no human interaction. In order to appeal to individual users as customers, we needed to rethink our approach to digital sales, digital contracting, digital finance and digital accounting – end-to-end. We have many offerings that cost under $10K and are suitable for an individual to buy and use. For these, you don’t have to rely on the traditional purchase order and contract negotiation. Customers would like to use credit cards and one-click agreements. In working with finance, legal, and IT we adapted systems, business processes and contracting agreements and now accept digital payments in more than 190 countries. This change represents an open opportunity for identifying net-new sources of revenue at scale. It enables us to seek new audiences for our software and services through new offerings that fit a new, consumer-level audience. DB: Sounds like a significant shift in thinking, especially for an enterprise software company. Where and how did you start? What specific offerings can you now deliver, as a result? JB: Like most companies, digital became a hot word at SAP. Changing the user experience gets the most buzz and attention in many digital initiatives. Success, however, requires that you do more than create a new front-end design or user experience. You also need to address fundamental issues and adapt core business process, in order for digital to deliver innovation that creates value. Innovation through digital happens when you change the business model as well as the customer experience. The example of accepting digital payments is a good one. Ongoing, to avoid the risk of “digital washing”, I created a litmus test to assess if what we are doing is in fact digital or not. Do we create value in a different way? We apply this litmus test (in order) across all we do today. Another example is our digital solution for marketers called SAP Digital Consumer Insight. Marketing professionals have great need for customer insights on analog or physical properties (e.g. retail stores) in the same way they get insights from their digital properties. If we think about the digital world, understanding where people came from before coming to the site, where they go next is the same problem that exists in an offline consumer engagement. Our Digital Consumer Insight solution solves this problem. The solution is 100% digital and cost $439.00. You cannot purchase the solution from a sales person and it is not an app. It tells you for any point of interest in the U.S. (location) for any specific day, the aggregate of consumer information that happens in your area. This can be very important when identifying locations for stores and planning location-based marketing strategies. Consumer Insight is an example of a solution that fits the litmus test and is opening up new revenue opportunities for us. In future research (subscription required) Gartner will explore marketing and digital business innovation delivered through focus on customer, culture and creativity. We’ll highlight examples, techniques and best practices from practitioners and companies leading the change.